K-pop girl group Gugudan will hold its first individual concert in December, its agency confirmed Wednesday. 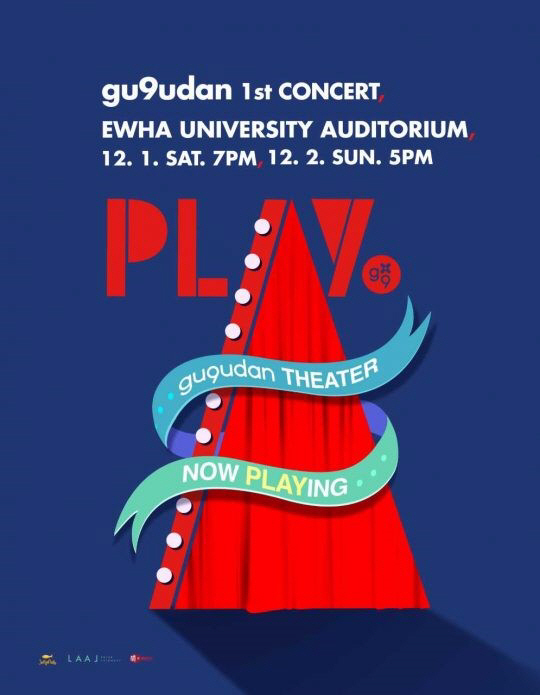 “The ‘gu9udan 1st concert PLAY’ concert will take place at the Ewha University Auditorium on Dec. 1-2,” Jellyfish Entertainment said via Gugudan’s fan community site. The agency added the concert will showcase the group’s many charms in a new fashion. Gugudan plans to perform tracks from the group’s four albums, “Act. 1 The Little Mermaid,” “Act. 2 Narcissus,” “Act. 3 Chococo Factory” and “Act. 4 Cait Sith.” The group will also showcase songs from its 3rd EP, which is set to be released on Nov. 6. Having debuted in June 2016 with “Act. 1,” Gugudan quickly wrangled public attention as a popular rookie girl group. The group also spun off subunits Gugudan 5959 and Gugudan SEMINA with “Produce 101” trainees Sejeong, Mina and Nayoung. Tickets for Gugudan’s upcoming concert will be available through Interpark from Tuesday.